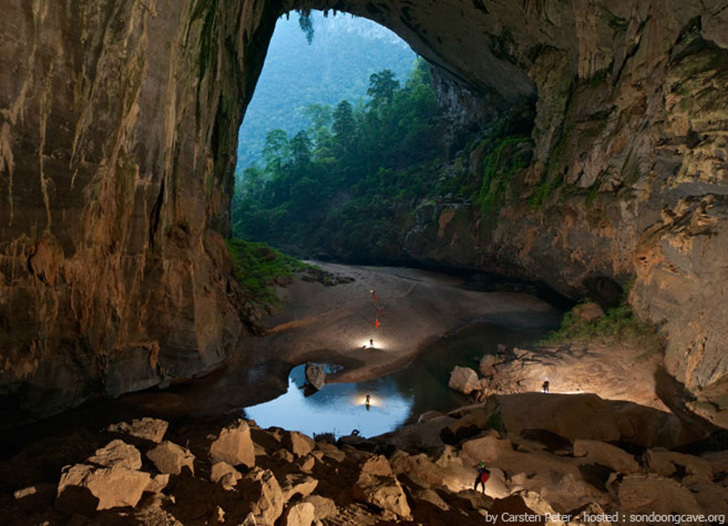 The cave, dubbed Son Doong Cave (Hang Son Doong in Vietnamese), which means mountain river cave, is located in the Quang Binh province of Vietnam. A local farmer stumbled on the cave in 1991, but he didn’t go in because the entrance he discovered had an extreme drop. So it wasn’t explored until 2009 when a group of British explorers led by Howard Limbert went into the cave to take a look around. The cave roof has collapsed in a few places, allowing sunshine to reach down and create hidden patches of rain forest. In some places the cave is so large that you could fit an entire city block, buildings included, inside. Explorers have joked that the cave looks like an artist’s rendering of the prehistoric landscape and some parts of the cave have been named accordingly. 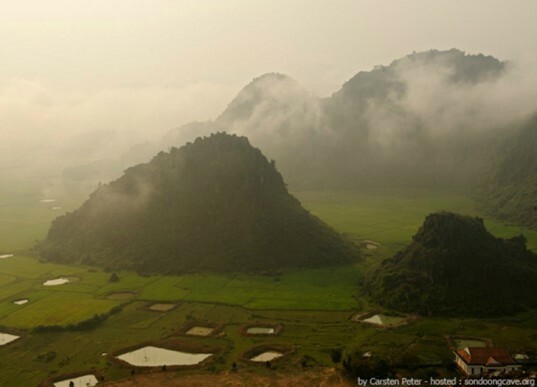 Previously, this natural marvel was only explored by a handful of permitted individuals, but a company called Oxalis Adventure Tours has permission to take people on tours starting next year. Only 220 permits will be issued, however, so the opportunity to see the amazing cave is extremely limited. But for those lucky enough to go (and with $3,000 to spare for the tour), it will be an event never to forget.